Before going outside for recess at Fletcher Walker Elementary School, children who do not own a snowsuit, or left it at home, can grab one from the Caring Closet in the hallway outside the primary grade classrooms. The idea for the good deed came to Young’s attention during a conversation with Jessica Compton, a local parent, who had concerns about students at school without proper snow gear. She mentioned a need for a loaning program. The students simply grab one off the rack at recess and return it before going back to class. Various sized socks and gloves were also purchased and these are distributed by elementary teachers, said Nelson. The socks are given to children to take home, but the gloves are returned to the classroom after use. 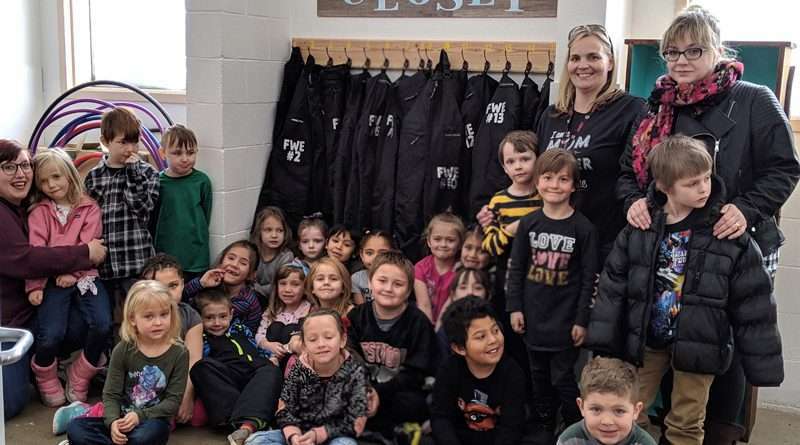 Nelson said PTSA is accepting snowsuits children have outgrown that are still in good shape and these are given to students who do not have a snowsuit at home. A Caring Closet Facebook page will be created for communication purposes. 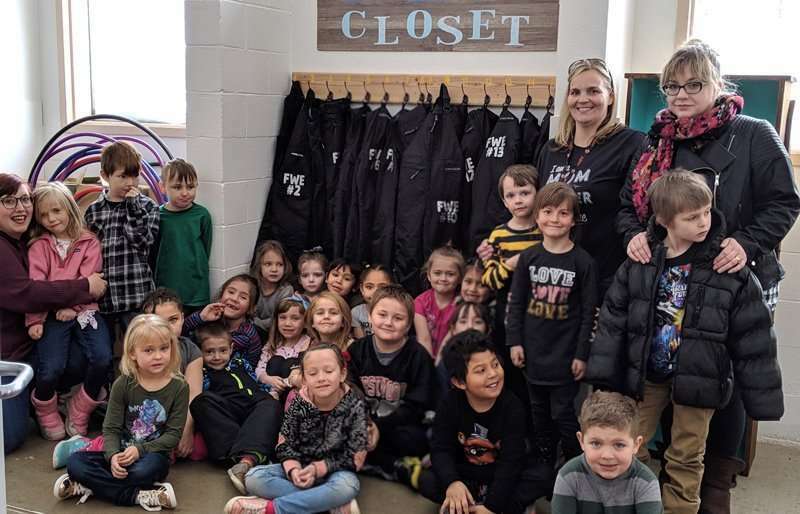 The Caring Closet was unveiled to the students Wednesday, Feb. 27. ← We have to ask ourselves: When will we ever learn?